As a 24-year-old from California, being in Selma and hearing first-hand from the black victims of beat-downs and tear gas at the hands of racist police and state troopers 50 years ago was really an eye-opener. It was hard to imagine that, at the time of the original bridge crossing, many of the civil rights leaders we met during our trip were young people. SNCC Chairman John Lewis (now a congressman) was only 25 years old, and one of the main strategists, Diane Nash, was just 27. 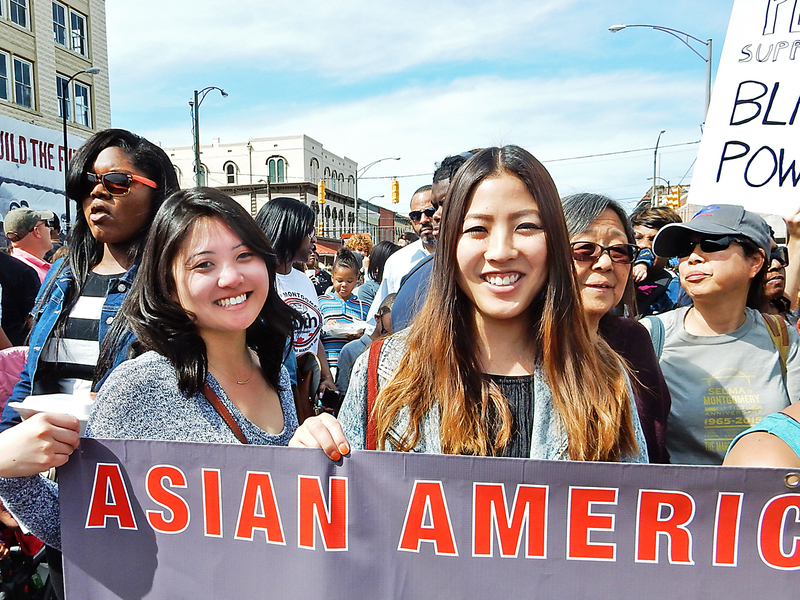 On Sunday, when we took part in the re-enactment of the bridge crossing over Edmund Pettus Bridge, we met Asian American “foot soldiers” Todd Endo and Vincent Wu. They had answered Martin Luther King’s call to support the voting rights movement and participated in the 1965 marches. They were 24- and 23-year-old college students at the time. It was such a moving and empowering feeling to be on that bridge among the 100,000 marchers that day. Reflecting on the Civil Rights Movement and its critical role in fighting for voting rights and freedom of all people is something I’ll never forget. There is so much we can learn from the many stories of Selma and the voting rights campaign — especially young people. The issues we face today are clear reminders of how much is unfinished, how much change needs to be made. I hope that my generation continues fighting for justice and carrying on the struggle for equality the way the young, courageous activists of Selma did.